When I checked on the Mac website last Thursday I saw that they were releasing the anticipated Riri Woo on Friday at 11am. I squealed with delight as I've been wanting a new red for a while. Because of exams my lovely boyfriend bought the lipstick for me and told me he was in the queue for ten minutes - Must have been a lot of you! 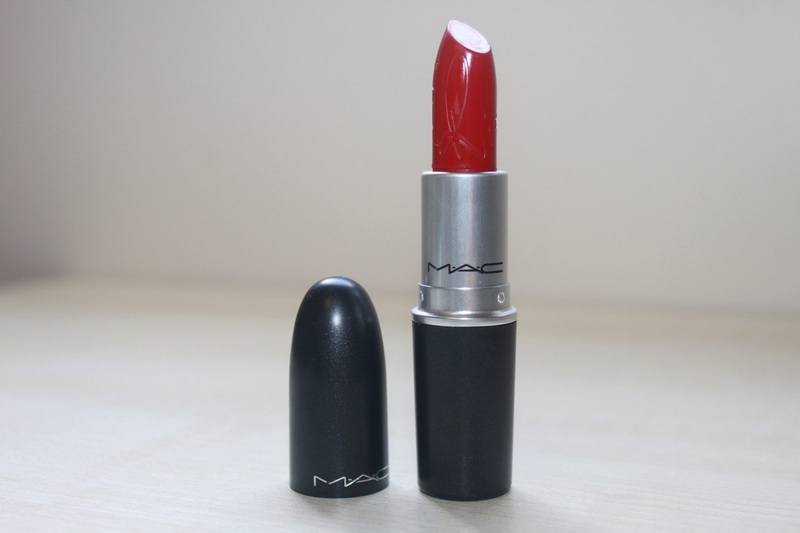 Mac collaborated with Rihanna to make a red lipstick, with more of Rihanna inspired make up to follow in the summer. 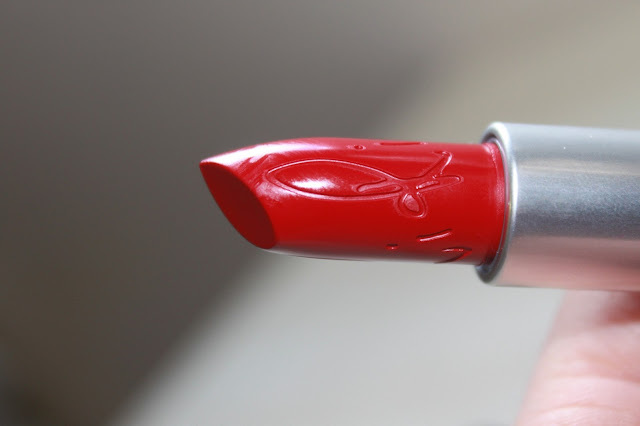 Riri Woo, inspired by the famous shade Ruby Woo, was on sale for a few hours on the Friday, and will be released again some point next month. 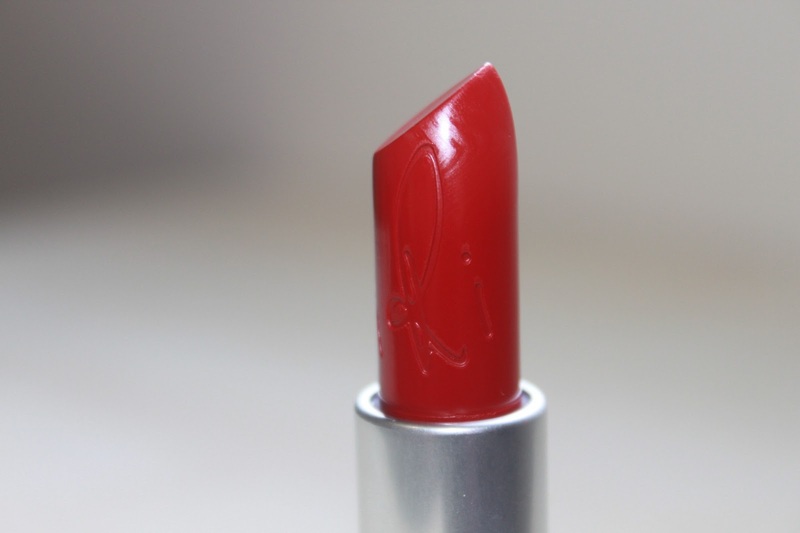 Riri Woo is very similar to Ruby Woo. There's virtually no difference, only Riri Woo is slightly darker and bluer toned. 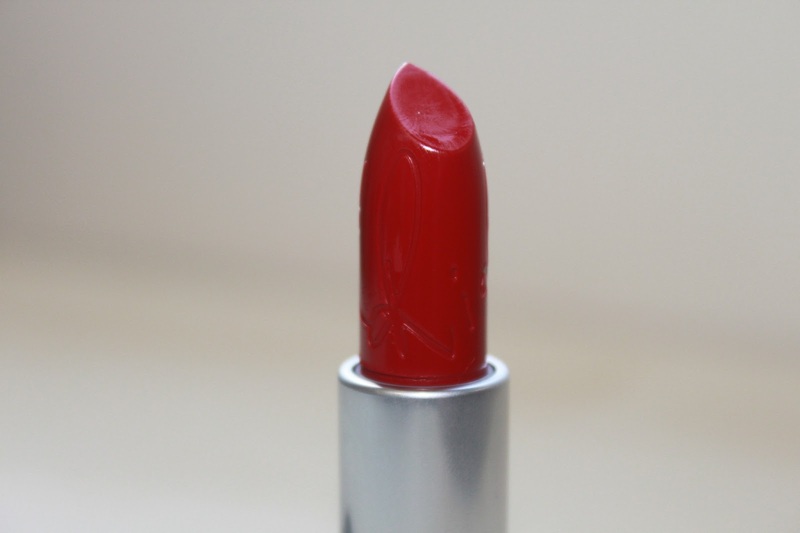 This lipstick is a traditional red colour that is very heavily blue toned, and the joys of that is that it makes your teeth so much whiter! 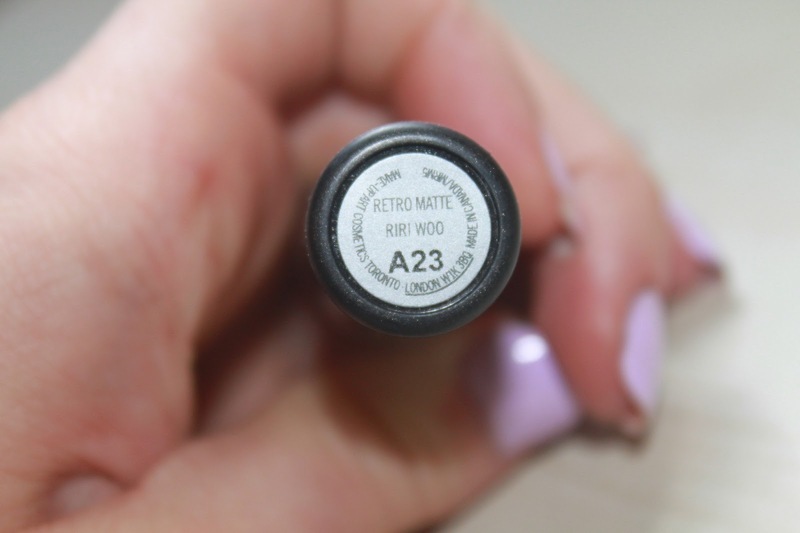 I also love that this lipstick is matte, my favourite finish, so I will be wearing this a lot. This limited edition shade comes in the traditional Mac packaging, a sleek slate gray/black plastic casing with flecks of silver. The only difference is the additional Ri Ri signature on the bullet which is a really nice added feature. One thing that I just couldn't get to grips was applying the lipstick. 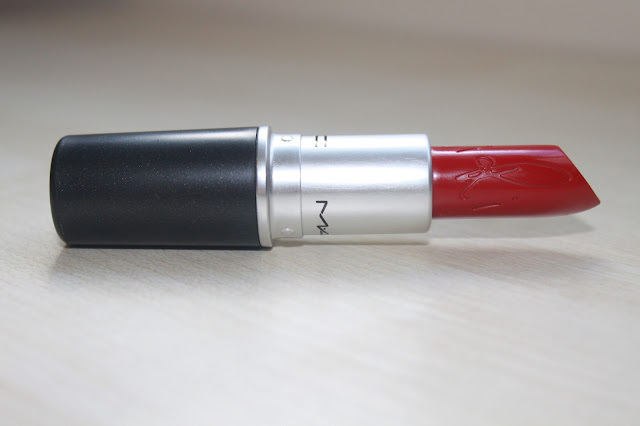 I found that it seemed to drag on the lips, my other Mac matte lippies have never had that problem. I'm not sure if it's just because it's new and needs a little using, but I've never had that problem. I found it so difficult to apply, but once I'd done it I really loved how it looked on the lips. A gorgeous velvety looking blue toned red that suits any skin tone. This is sold out at the moment, but the price is £14 and will be released again in June. 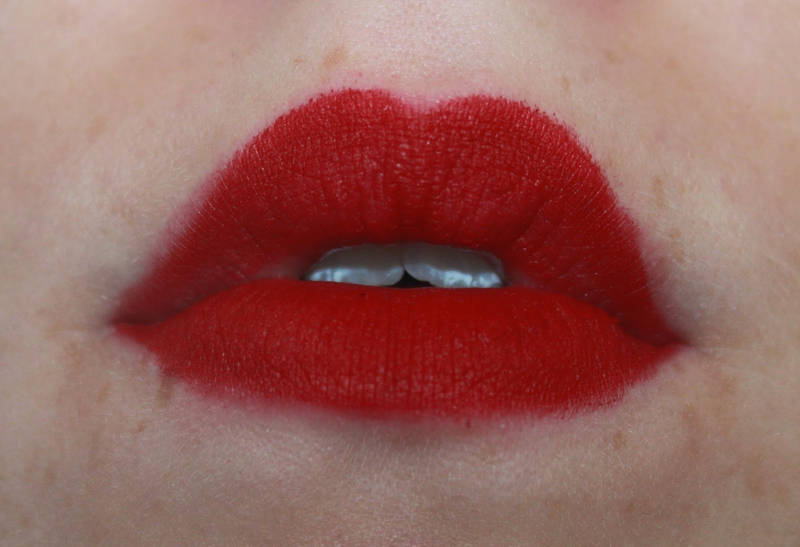 What do you think of this lip colour, too much hype for a red lipstick, or do you love it? It's a lovely lipstick and looks great on you! I may buy it when it's released again in June... but it's crazy that it is selling for £100 on eBay!! I'm debating whether to get this is June or to just get Ruby Woo as they are so similar! Hmm! It does look GORGEOUS on! I've heard this is the same as Ruby Woo just with different casing (someone who works in Mac told me). I haven't swatched it or anything myself, though. beautiful shade but look at the bullet!! it's so pretty i'd be scared to use it!! This looks lovely on you! 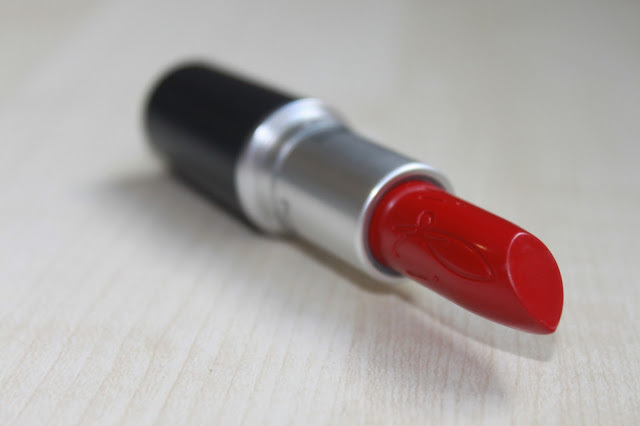 It's not worth me buying as I so rarely wear a red lip, although I have been thinking about getting Ruby Woo for a few months now..
what a lovely colour I need this! Please check out my blog i'm a newbie!